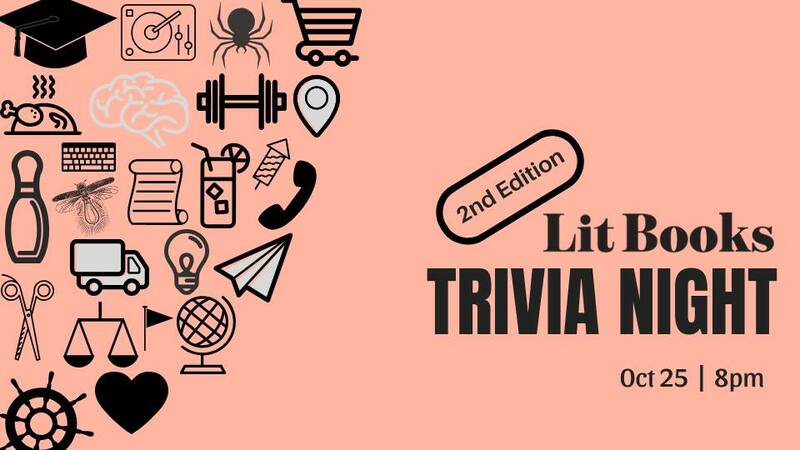 Come test your knowledge of literature and all things book related at the second edition of our literary quiz night! Drinks and Lit Books cash vouchers to be won. We are looking for 6 groups of participants. • Form a group of up to four participants. • Register your group by sending an email to info@litbooks.com.my. • A games fee of RM40 per group applies. Advance payment required after confirmation of all 6 teams.